Andrew Bajda’s inspiring tale begins in a quiet northern England village, where thirteen-year-old Iris moves into the household of a strict uncle following the illness and loss of her mother. Farther away across the English Channel, a mountainous storm is brewing. Fifteen-year-old Ian leaves home with his family on a horse-drawn carriage to escape impending Nazi invasion only to face yet more danger and peril from another invader. So begins a fascinating journey that leads Ian on a quest to liberate his beloved Poland from both German and Russian occupation. His quest will cross through Europe’s vast mountain ranges and captivating cities, leading to friendships, forced labor, capture, escape, and unexpected encounters around every corner. “Captured in Liberation” provides a front-row seat encompassing World War II’s broad canvas, from Ian’s brother Stefan’s desperation in the hinterlands of Siberia to the promise of a resurging Polish Army in Italy. However, when an Allied agreement surfaces and Polish soldiers of Anders’ Army face the grim reality that there will be no liberation of their homeland, Ian is sent to Scotland, unaware that a spirited young lady in England’s Lake District awaits him. A very interesting and compelling book. Captured in Liberation held my interests right from the beginning. The struggles of this family are stunning and often held against a background of immense fear and shear beauty. The will to survive is paramount and the memories left behind were firmly rekindled after many years of being away. This heartfelt journey passed on from father to son captured the essence of family and how the struggle of one generation makes life better for the next. Riveting Story. The book would make a wonderful movie. I was transported back to another time. 5.0 out of 5 starsTruly a labor of love! Heartwarming account from a son's quest to connect deeper with and record his family's history beginning in Poland during WW II. Delivers a true account, with historical references, of the obstacles and atrocities the father and the family had to face, and overcome before reaching their final destination in the US. Captures the beauty of the towns and country sides in the midst of war. Truly a labor of love! From heart-felt victories to many touching personal anecdotes, Captured in Liberation is such an inspiring story that I actually went back to reread it a second time. Book clubs, WW II buffs, historians and everyday readers will delight in this captivating true tale that shares vivid experiences of a Polish family during the German and Russian invasion and occupation of Poland in WWII. Much of the book is framed through the eyes of Ian, a young resourceful Pole who refuses to allow Germany and Russia to define the destiny of his family and his country during the war. The accounts of his internments, adventurous travels, and fortuitous luck take the reader on an unbelievable journey through a fragile time in Eastern European history. Thoughtfully and tenderly written, the author, Ian's son Andrew Bajda, shares first hand stories of his father and mother's lives and encounters. With an easy to read style, he produces clear imagery of the people, surroundings and emotions of the times. As I read the book, it immediately reminded of the Diaries of Anne Frank and her stories of the WWII as seen through the eyes of a young person. 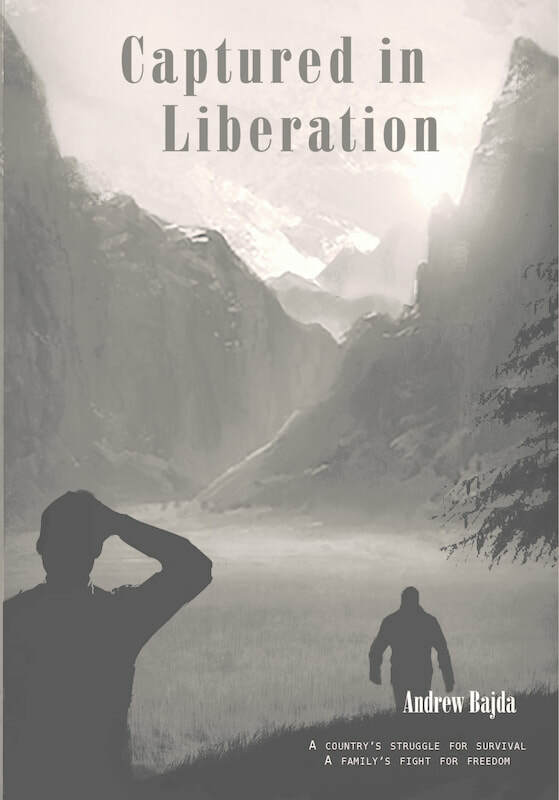 Captured in Liberation shares similar stories of hope and bravery during times of war: neighbors helping neighbors and strangers taking risks to protect the innocent. Equally as meaningful as the story itself is the underlying motivation for the book. The author researched and documented this story for one main reason, to ensure future generations can recount the heritage and strength of their lineage. This becomes clear after reading his personal notes in the Prologue and Epilogue, which are as fulfilling as the book itself. 5.0 out of 5 starsThis is a captivating story with history and personal experiences intertwined. Captured in LIberation is a captivating story of bravery, dedication, faith and wit during WWII. The book intertwines historical events with personal family experiences. The author writes as if he were there, personally, with the characters.